The head is the most important part of the body, so if you are going to rush into battle, you had better protect it. The Solomon Helm lets you do just that, and it gives you the added advantage of looking quite fearsome on the battlefield. 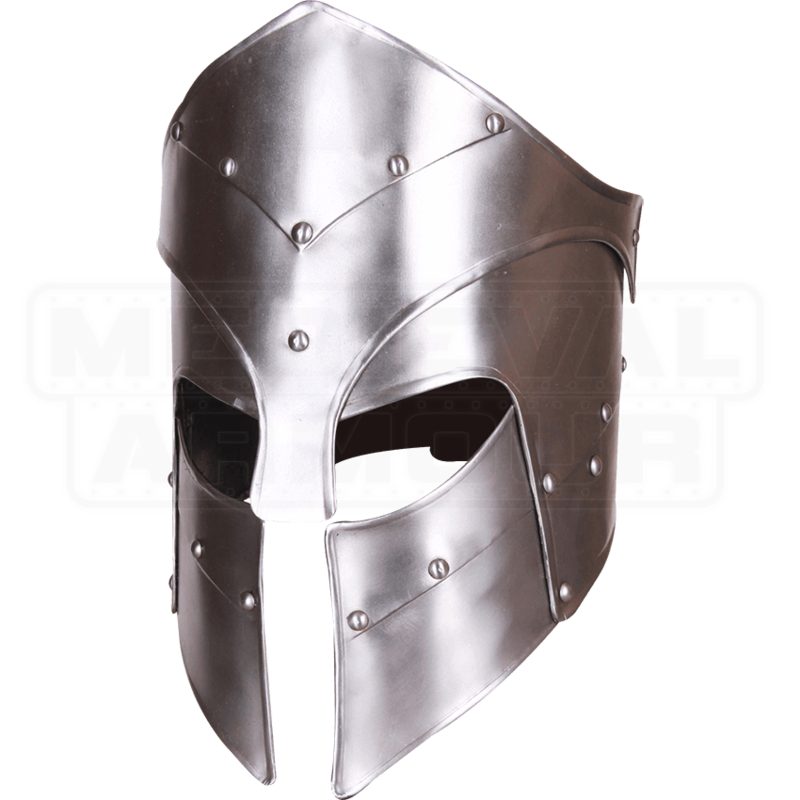 This 18-gauge steel helmet is truly fit for a king, covering the face and head in style. It features ornamental rivets along its brow and cheeks, giving it an authentic look, but the crested point of the helmet throws it into the realm of fantasy. Cheek guards protect the sides of the face, while a nasal guard covers the nose and gives the eye holes a sinister shape. 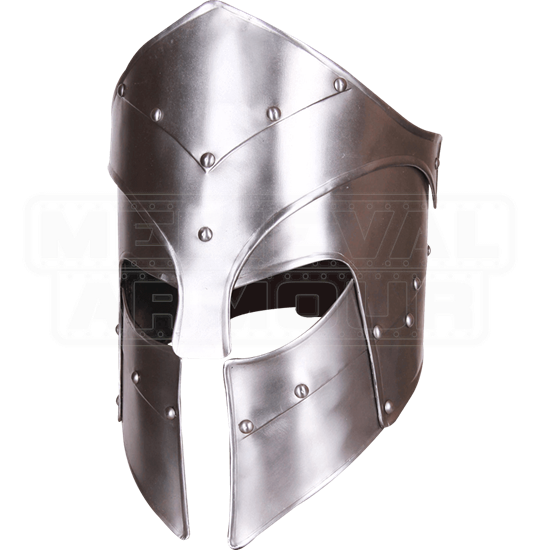 The Solomon Helm makes a stunning component to any LARP or reenactment suit of armour.